Aerosol cans can be dropped off at the Eastern Regional Landfill year-round without an appointment. If there’s even a drop of liquid left, an aerosol can is still pressurized and can explode, so dispose of it as hazardous waste. 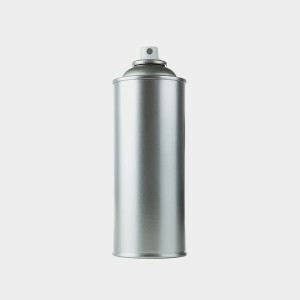 If an aerosol can is completely empty, it’s OK to recycle it with other metal cans. Recycle empty Febreze-branded aerosol containers through TerraCycle’s Febreze Aerosol Recycling Program. The United States stopped using chlorofluorocarbons (CFCs) in aerosol cans in the 1970s because they were depleting the ozone layer. Yet aerosol cans still contain chemicals that contribute to climate change, such as compressed gases and hydrocarbons.